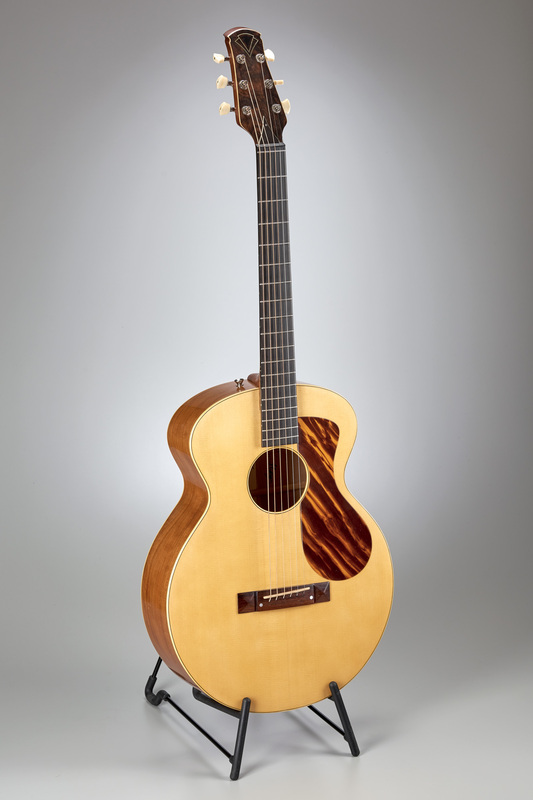 Recording artist Tim May demonstrating this guitar – video is below the photo section. 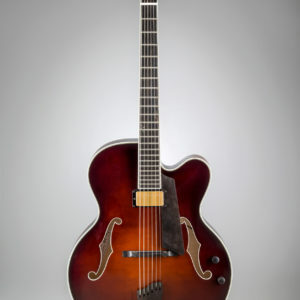 The Bluesette model came about as the result of a couple conversations with friends. 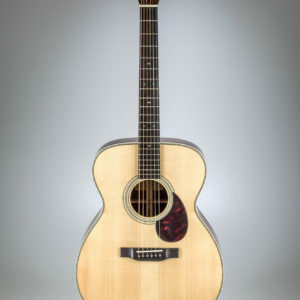 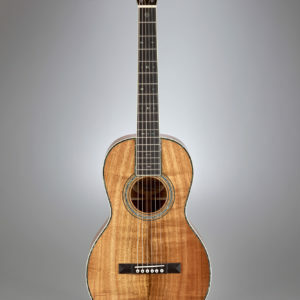 We noted how much we loved the look of the old “Robert Johnson guitar” or L-1 but that they didn’t sound as good as the later upsized L series guitars. 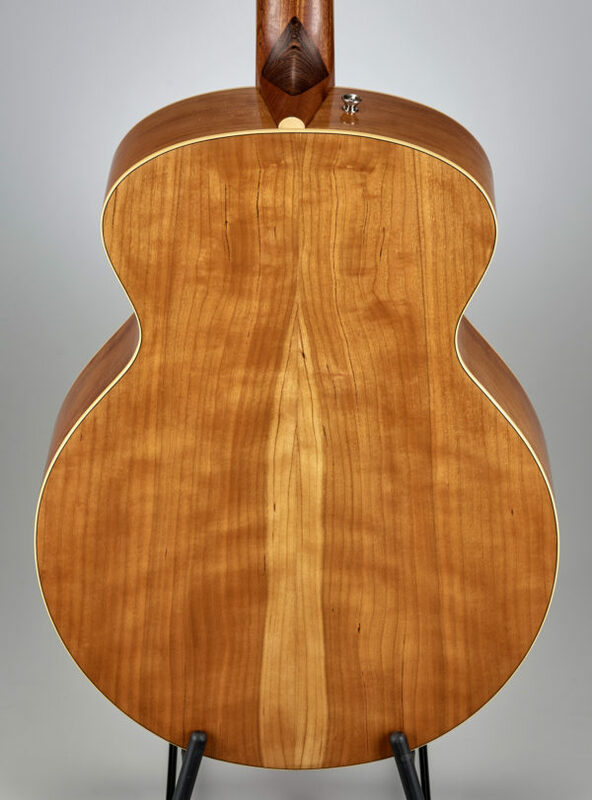 Which led to talk about how the deeper bodied Nick Lucas model was even better sounding and underwent the same change from the smaller rounder L-1 to the squarer larger L-0 along with changes in neck to body joint. 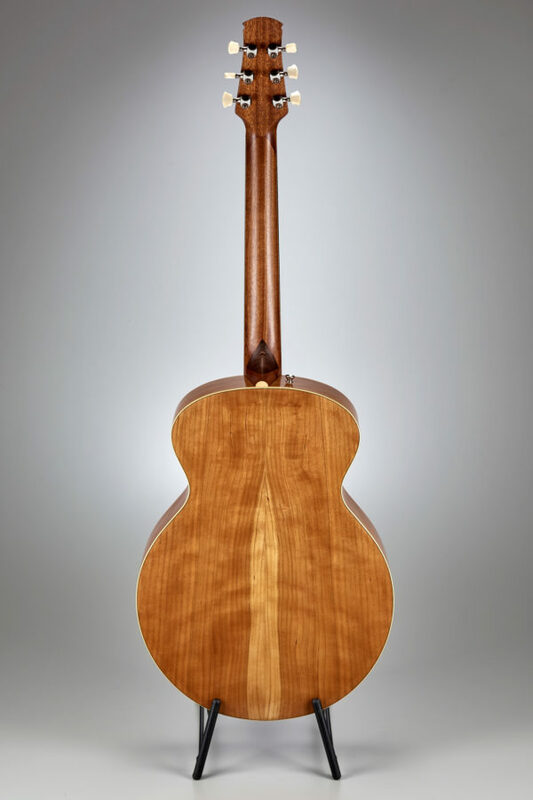 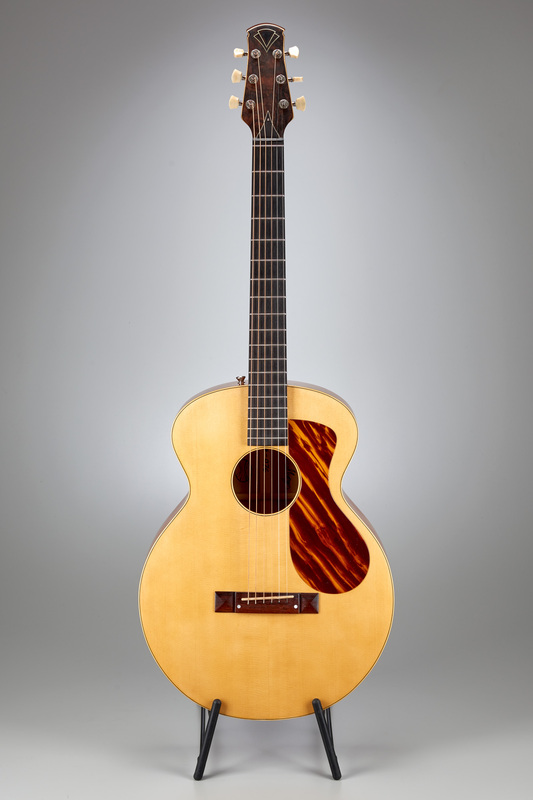 We thought it would be awesome to make a guitar with the larger 14” L-0 body with the older rounded L-1 type shape and the Nick Lucas model’s 4” depth. 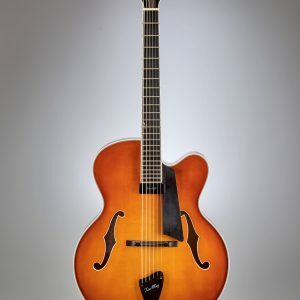 That was the genesis of the Bluesette model. 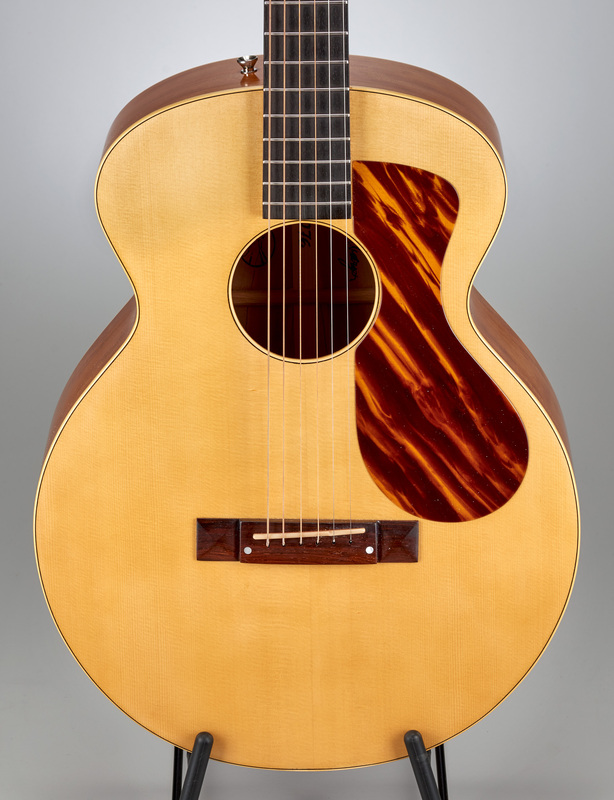 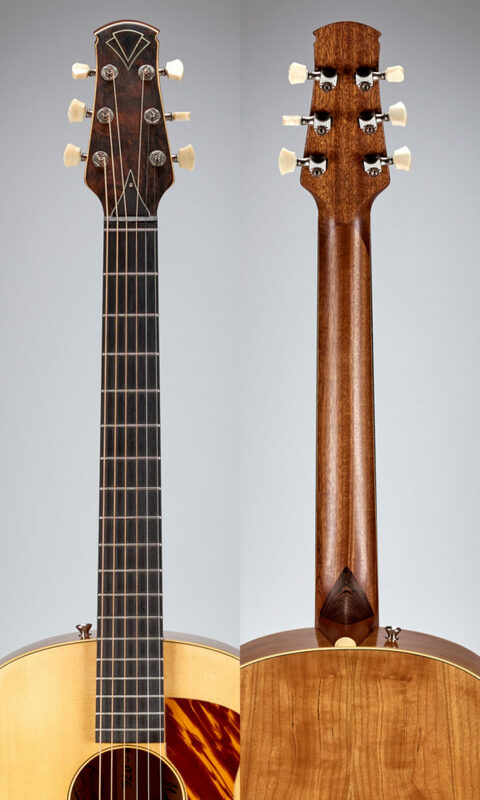 It’s a classy old time Kalamazoo inspired small body with a lot of depth and versatility.